Danny loves hugs. What better way to go about getting lots of hugs than travelling the world living your dreams and helping others live theirs? He competed for Great Britain at Triathlon, cycled to India on a whim, and set up the ‘Live your dreams’ foundation to raise funds for charity. 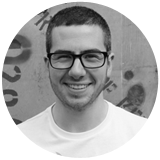 Motivating people to be the best version of themselves is Danny’s passion and trade. Living dreams, facing fears, and loving yourself, others and life with abandon are his tool kit. Danny writes books, climbs trees, breaks records, dances like a child and snorkels in bogs. He considers his positivity and smile his two greatest assets - he’s a people person extraordinaire. He’s the big picture and the runner’s ‘go to’ man. If you have any questions, need some 'super double awesome' motivation, or just fancy a bit of chit chat about anything or everything click on his buttons below. Kate is an idealist who ditched the 9-5 to pursue a life less ordinary. 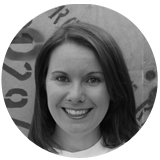 She worked as a political campaign manager and a BBC flim maker before turning her talents to event organising. Driven by a desire to make a difference, she lives life at full tilt devising inspirational and meaningful events that bring out the best in people. She has a soft spot for relays - before One Run For Boston, Kate organized a mind boggling relay around the British Isles for charity. Kate’s role at One Run For Boston is to sweat the details whilst keeping Danny out of trouble. She’s also the first port of call for all media enquiries. An organizational Einstein with a little more of that typical British reserve than her two counterparts, Kate will be teaming up with Danny to drive the relay route from LA to Boston. If you want to know the what, where, when, how, why and who of One Run For Boston, then Kate’s your woman. Jamie is always looking to do awesome things to make the world a bit better. In between thinking up cream crackers of adventure opportunities, he can be found on our social media sites sharing news that makes ya laugh, scratch your nuggin and generally feel a bit better about life. 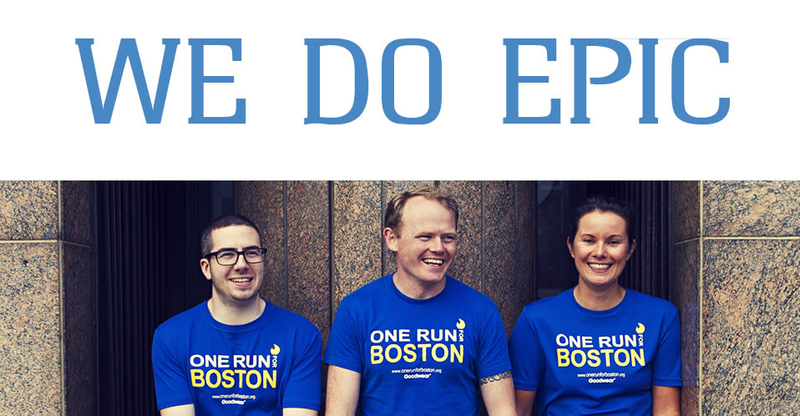 His role at One Run For Boston is to look after all things digital and partnerships. He has an in-depth knowledge of the non-profit sector. 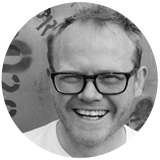 Jamie is the Digital Marketing Executive at the international development charity, Concern Universal, and has undertaken several fundraising adventures around the world in locations such as India and Europe. Determined to show that people should live their passion and make a positive difference in the world he jumped at the opportunity to be involved in One Run For Boston. The feeling of being part of something bigger than yourself, and being united with others that feel the same, helps him work those countless late nights ensuring you are kept up to date with One Run news.